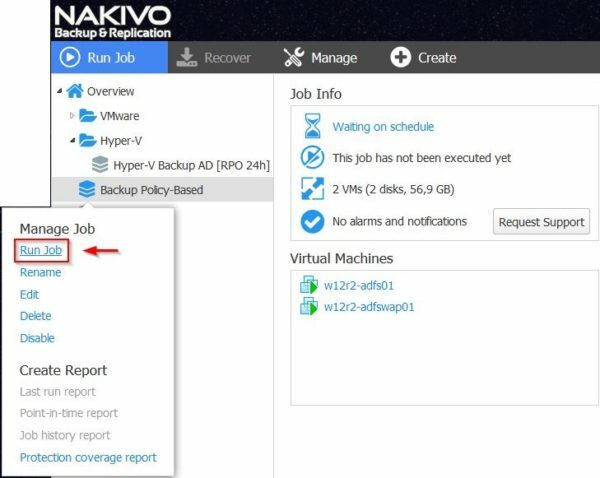 Policy-Based Data Protection is a feature introduced in version 8.1 of Nakivo Backup & Replication that allows to automate VM backup and replication. 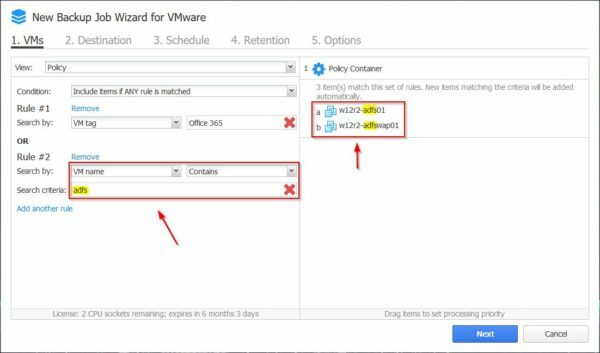 Using this capability, VMs can be protected by defining one or more policy rules in the backup job. 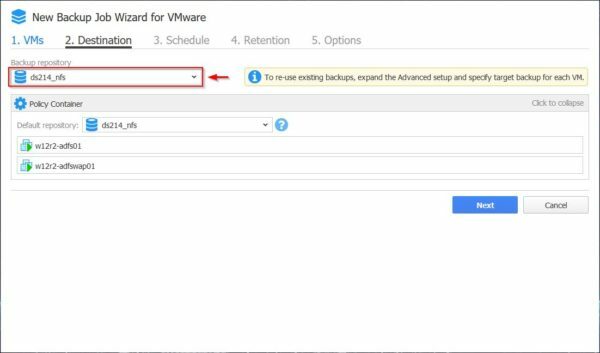 VMs matching defined criteria are automatically included in the backup job avoiding the boring and time-consuming process of editing backup jobs to add or remove a VM. 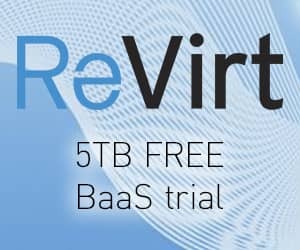 Policy-Based Data Protection feature is very useful expecially in large environment with plenty of VMs to manage. You can create up to 50 policy rules per job and several criteria can be chosen to define the requested policy. 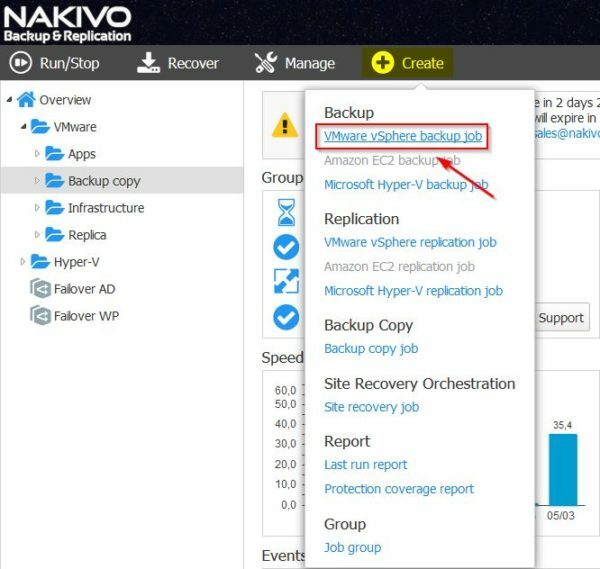 To define the filter for the backup job, there are up to nine options available for VMware, Hyper-V and Amazon EC2 backup jobs and at least 3 characters must be included in the search criteria. 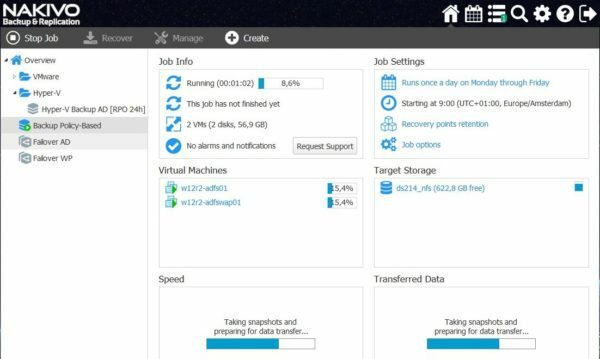 Fram Nakivo's dashboard click on Create menu and select VMware vSphere backup job option. In the View drop-down menu select Policy. 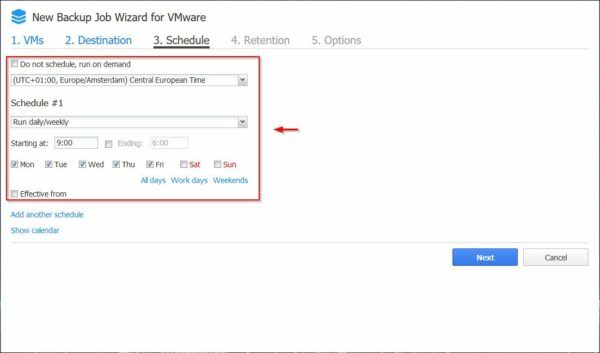 Specify the Condition to define if the VMs must match any rule or all rules defined in the Search by field. In the example the Include items if ANY rule is matched (OR) condition and the VM tag have been selected. 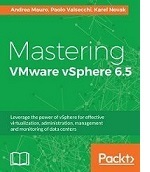 The VM tag is the tag specified in the VM's Summary in vSphere. 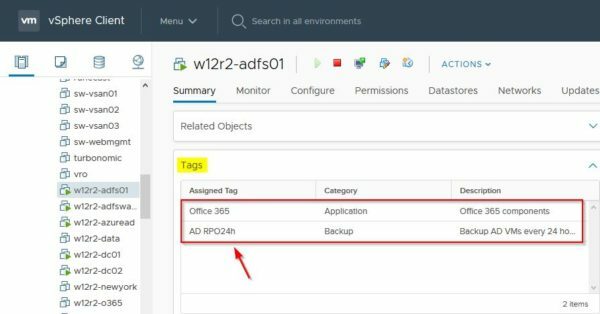 Enter the tag name to use (Office 365 in the example). Remember at least 3 characters must be included in the search criteria. Click Add another rule to specify an additional search criteria. In the example the VM name that Contains the word adfs has been specified as search criteria. 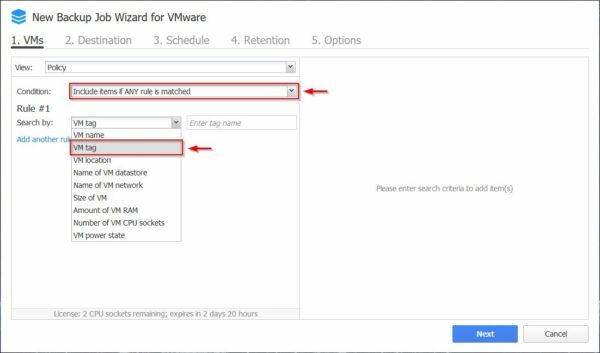 As you can notice only part of the VM name has been entered to display the VMs that match the first or the second rule. 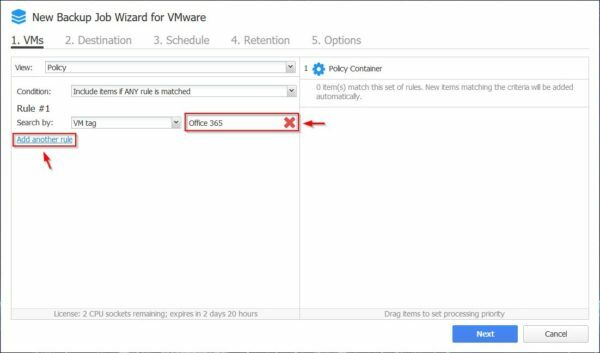 Therefore only VMs with tag Office 365 or with adfs included in the VM name are included in the backup job. Click Next. 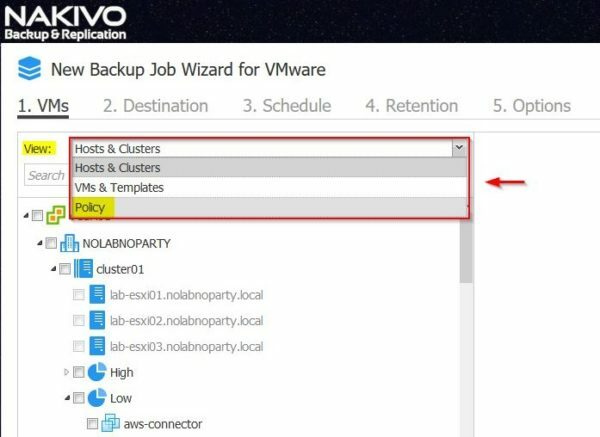 Select the Backup Repository to store the backup and click Next. Specify a Schedule then click Next. 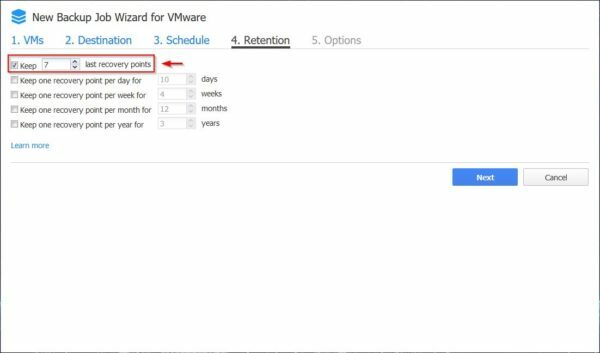 Specify the RPO requested (retention) then click Next. Enter a Job name and click Finish. To perform the backup immediately, right click the just created Backup Job and select Run Job. Select Run for all VMs option and click Run. 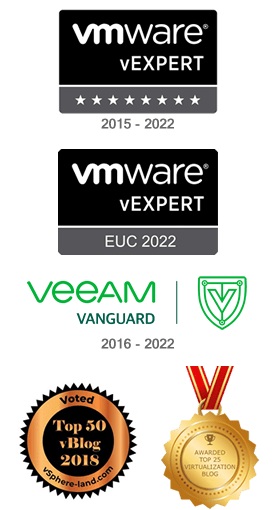 The backup is being performed processing the VMs matching the specified criterias. The backup has been completed successfully. 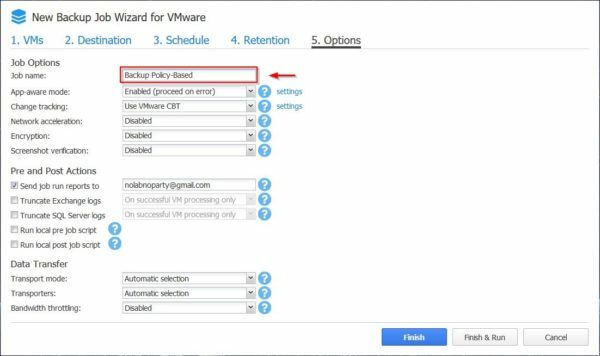 The Policy-Based Data Protection feature makes the management of a large number of VMs easier allowing to save time and organized efficiently all backup jobs. 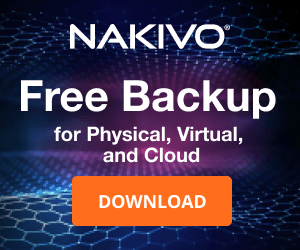 Nakivo Backup & Replication is available to download as 30-day trial.